Oprah visited Abbeville Memorial Church of God in Christ (COGIC) in remembrance of Recy Taylor. The evangelical church in Puerto Rico won't be the same after Hurricane Maria. Even congregations that have resumed their regular gatherings after repairing buildings and regaining power are still missing a major part of church life: some of their members. An estimated 400,000 of the island's more than 3 million residents have left the US territory for the mainland since the record-setting September storm. Like every other aspect of Puerto Rican life, church attendance has taken a hit. 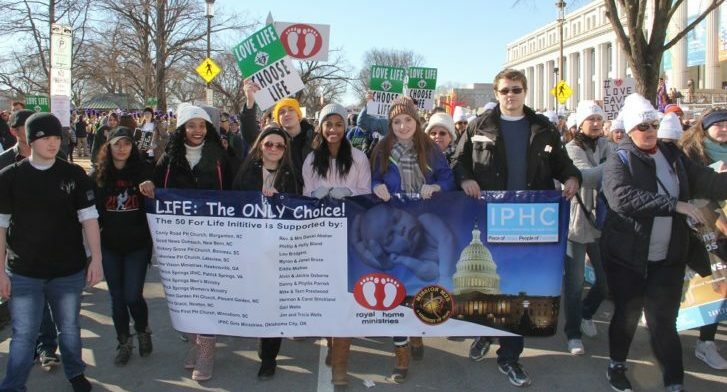 IPHC participate in March for Life in Washington, DC. As the IPHC highlights our fifth core value, "We Prayerfully Value All Generations," there is no better way to begin the year than to focus on the youngest of all generations-the unborn. Read more. 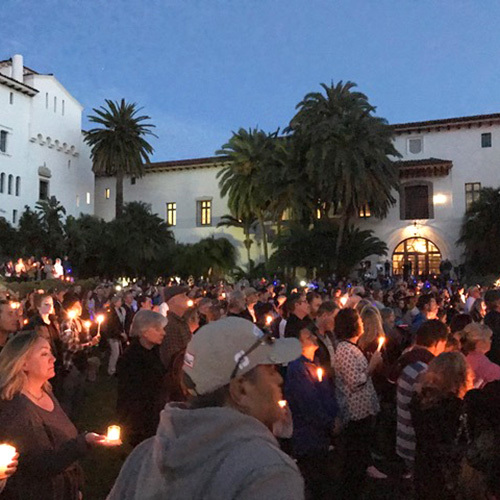 Prayer vigil for victims of mudslides. In the wake of devastating mudslides affecting thousands, a Foursquare congregation in Santa Barbara, Calif., is partnering with Foursquare Disaster Relief to help their community.Foursquare Disaster Relief (FDR) is helping New Life Church (Santa Barbara Foursquare Church) in Santa Barbara, Calif., bring care and comfort to victims of the devastating Jan. 9 mudslides that left at least 20 dead, hundreds homeless, and disrupted the lives of thousands more. Read more. Starting February 5, 2018, the Just a Minute weekly video program will be available on three new broadcast networks that reach more than 25 million homes. Just a Minute, hosted by Dr. Tim Hill, General Overseer of the Church of God, offers a quick and inspiring 60 seconds of personal devotional strategy for daily living. Read more. Ellen K. Blackwell, the longtime Assemblies of God minister and founder of the Way of Faith AG in Fairfax, Virginia; Mt. Zion AG in Charles Town, West Virginia; and Fellowship House Retreat Center of Midgal in Galilee, Israel, passed away peacefully on Jan. 12 at a hospital near her beloved retreat center. She was 104. Up to the time of her passing, she was the oldest living female minister in the AG. Read more. In the last few months of 2017, we experienced unprecedented global weather-related disasters with concentration throughout the United States, the Caribbean, Mexico, and parts of Asia. At one point during the hurricane season, I opened a weather photo with three Category 5 hurricanes documented within the frame. We witnessed the disastrous fallout of the storms in news coverage predominately across the southern United States and the English and Spanish-speaking Caribbean nations. Read more. The start of a new year is often a time when individuals, families or even organizations go through a process of appraisal. Have the right priorities been maintained? 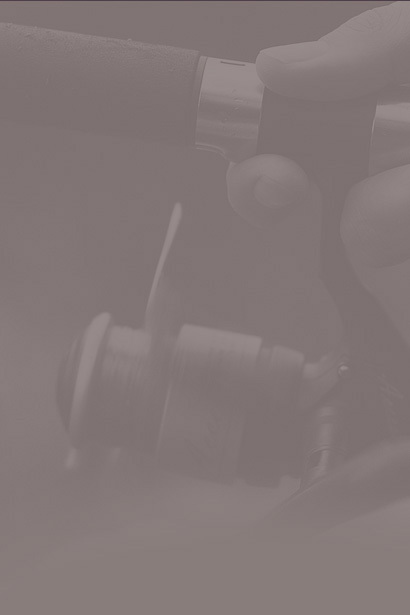 Has the focus of our pursuits proved beneficial? A healthy pursuit is when someone has your best interests in mind. While in bible school during my late teens, I was involved in a women's singing group that ministered in various local churches on the weekends, as well as travelling on a 10-day road trip ministering to churches in northern BC. I had just begun dating Dave prior to this trip commitment and was wrestling with the thoughts of him losing interest in our newly formed relationship while I was away. Interviewing Dr. Jen Jensen stirred my awareness about people who serve as caregivers. Dr. Jensen and her husband, Mike, both led full lives. Mike's being diagnosed with a brain tumor was not in their plans. T he couple was determined to work at maintaining as much of 'normal' as they could; however, increasingly the burden of carrying that commitment fell on Jen's shoulders as Mike became more dependent on her.